Support of Mental Health in the Workplace is a growing need in Australia. The number one question asked by decision makers when approached by HR to implement a Mental Health First Aid program within an organisation is “What is Mental Health First Aid?”. 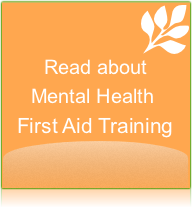 Mental Health First Aid is ‘the help provided to a person developing a mental health problem or in a mental health crisis, until appropriate professional treatment is received or until the crisis resolves’. (MHFA manual) The next question is “Why should we put the resources into training staff in MHFA?”. 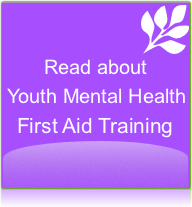 Mental Health First Aid training offers so much more than just learning about strategies to manage a distinct situation. By demystifying the myths around mental illness, staff may develop new ways of communicating with other employees. Staff knowing how to respond when they notice colleagues with difficulty can decrease workplace accidents and absenteeism. 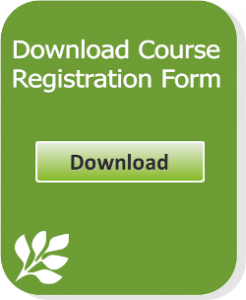 Enrolling in this course is a two step process and requires your workplace to complete the eLearning component first before you can enrol in a follow-up face to face session. Please see: Blended MHFA in the Workplace for more information. To book your Workplace Mental Health First Aid Training today, please call our office today on 1300 668 089 or contact us via online form for further information.